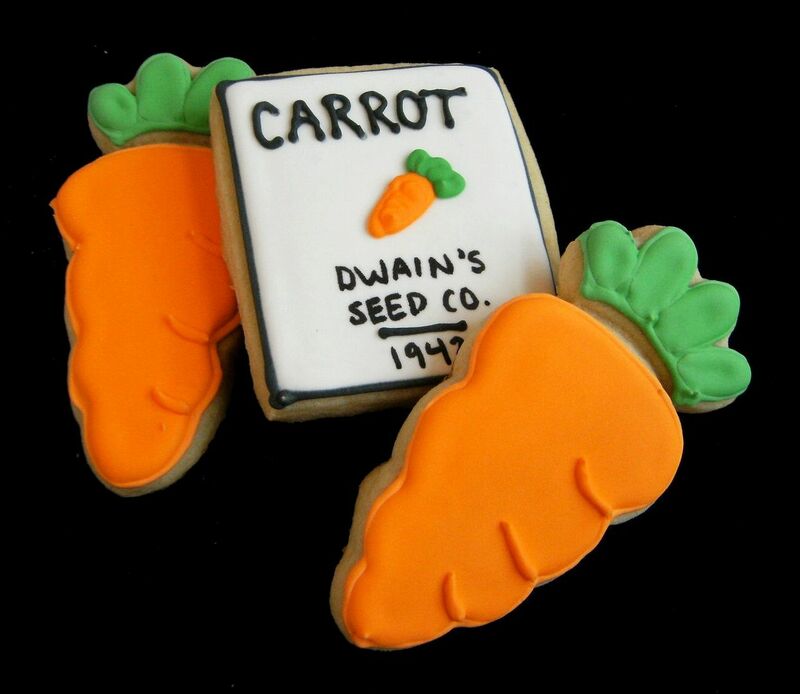 My sister ordered veggie cookies for her father-in-law's birthday. He's a gardener....and if he lived closer, I'd gladly trade him cookies for some home-grown tomatoes! 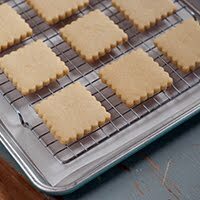 They are pretty simple to make, and might be some of my favorite cookies ever. 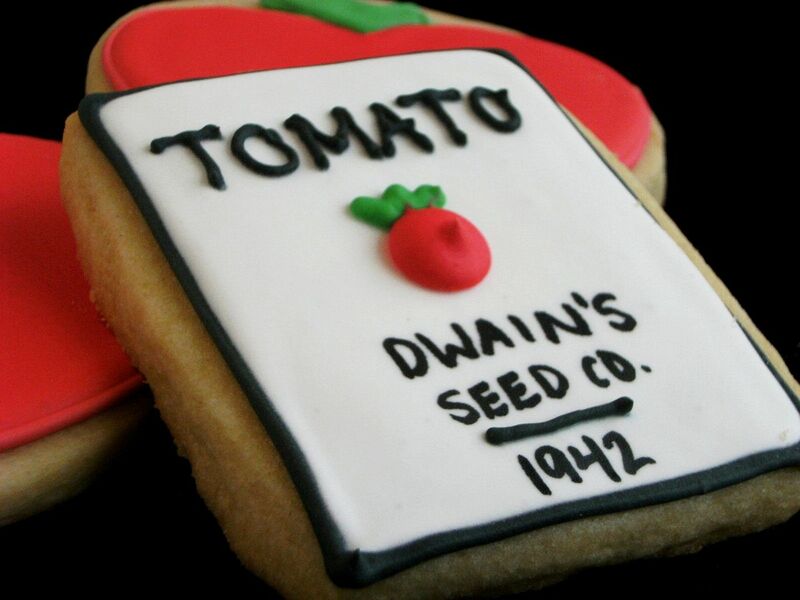 The name and year were added after the cookies dried over night with an AmeriColor Gourmet Writer food coloring pen. I wasn't sure I could get it all on the cookie in piped icing. If you're going to use food coloring pens, be sure to let your icing dry overnight. It will look dry after a few hours, trust me, it is wet underneath. 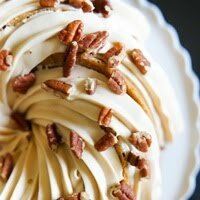 The pen will poke right through the icing. You don't want that. I also strongly recommend the AmeriColor Gourmet Writers over the other brands found at the grocery and craft stores. I've tried both and AmeriColor wins, hands down! THIS is how I want to eat my veggies! I'll be linking this up to TidyMom's I'm Lovin' It linky party. Come on over! How cute!! I especially love the seed packets!! I totally agree about the Americolor markers..they are the way to go!! When our tomatoes are good and going, I'll let you know...you're welcome to come and get some! SO adorable! Makes me want to eat my veggies! These are adorable! You are so creative and talented! He's gonna love them! Sorry, that deleted comment was me - I was signed into my hubby's google account. This would be the BEST garden! They are so adorable! It *almost* makes me want to bake some today. And when I say almost I mean I'm too lazy. Bridget..these are so adorable!! The seed packs are just too cute and I love the little tomatoes! too cute!! 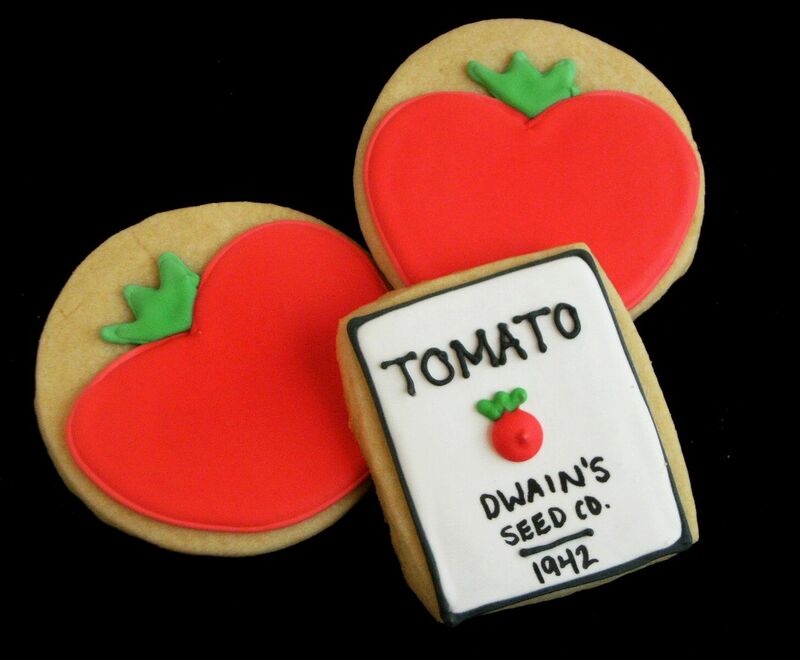 I agree about preferring cookies veggies over the real thing...except, like you said, the tomatoes...because nothing beats a really great home grown tomato! love them! Always love to see what you'll come up with next! Always fabulous! absolutley adorable! this is one way to get my boys to eat their veggies! What a wonderful personalized gift Bridget. I'm sure your sister's father-in-law will be deeply touched by your thoughtfulness. I love the little seed packs with the tomatoe! It is so tiny and sweet. Super job. Bridget! Those are just amazing! How cute that would be for a garden party! I can see it now little clay pots for place cards, those seed packet cookies on a stick sticking out of the pots with peoples names on it. Ahhh! So cute! I love your COOKIES, Bridget! I'm in love with that chubby carrot (Melissa owns that cutter, too)... And you are right, Americolor Pens rule!! You make the most adorable cookies! 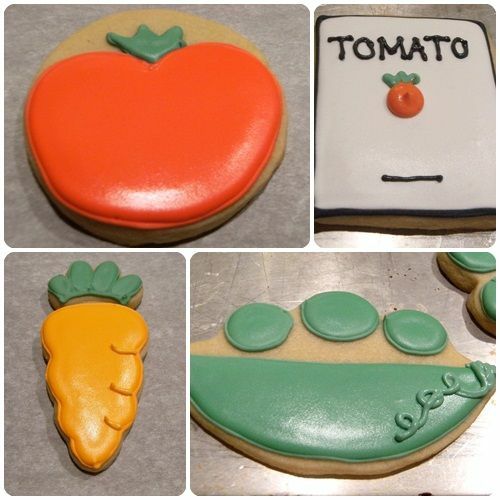 If you make cookies to look like veggies...does that make them healthty? :) If so I'm all for it! Yum. They look marvelous. 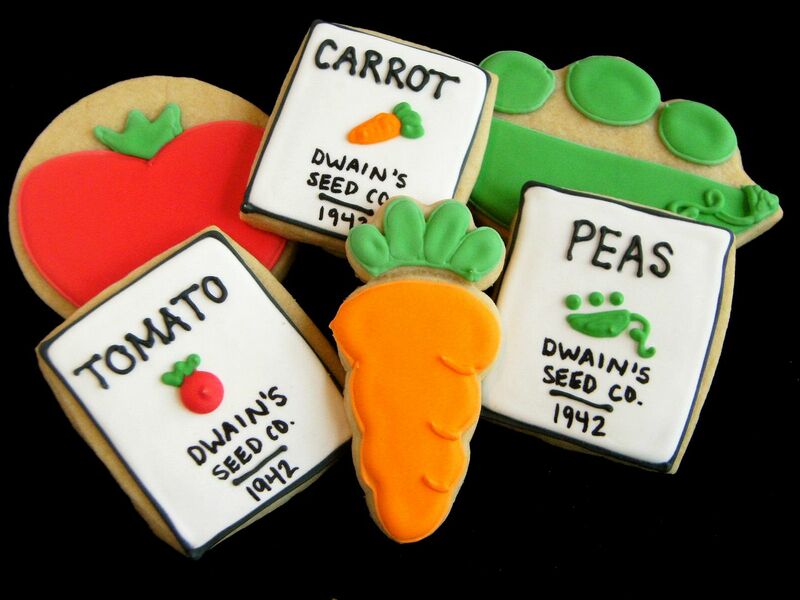 I'm trying to grow a veggie garden this year with my black thumb, maybe I should just try and grow some cookies too! They're way cuter. Those are so cute!!! 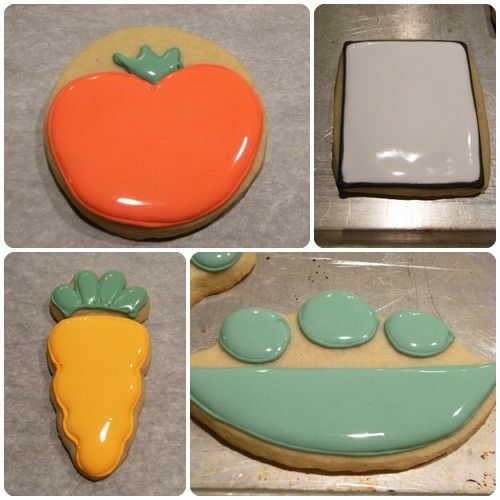 You are one talented cookie decorator! 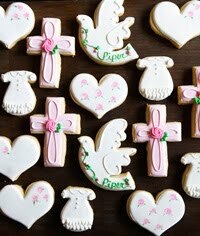 Just when I think your cookies can't get any cuter, you come up with THESE!! Adorable! I love them! So cute! These are the only kind of peas Ill ever be eating! I would take these veggies over the real thing ANY day! Sooo cute and I'll bet they taste good too. 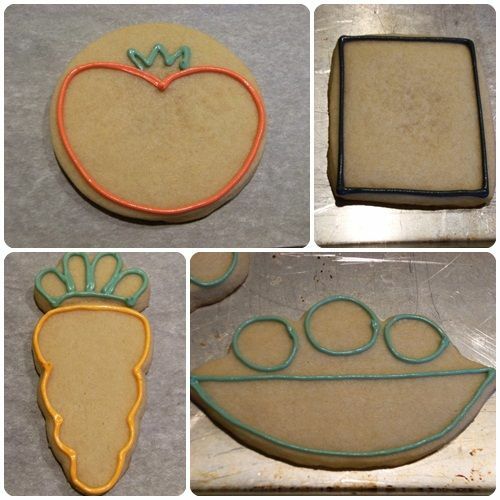 I would be curious to know how long this process takes...making dough, cutting/baking cookies,making the frosting (lining and filling),coloring the frosting, actual frosting process - outline,fill,detail and drying steps. Care to do some sort of post on that?? In steps/phases with time?? You make it seem so easy but I would love to know the reality of it. What a clever idea. They are so cute! Thanks for the tip on the writing pens; I have tried others with disappointment. So cute. Love the seed packets. Where did you get your pea pod cookie cutter? I've been looking for one like that for a baby shower. 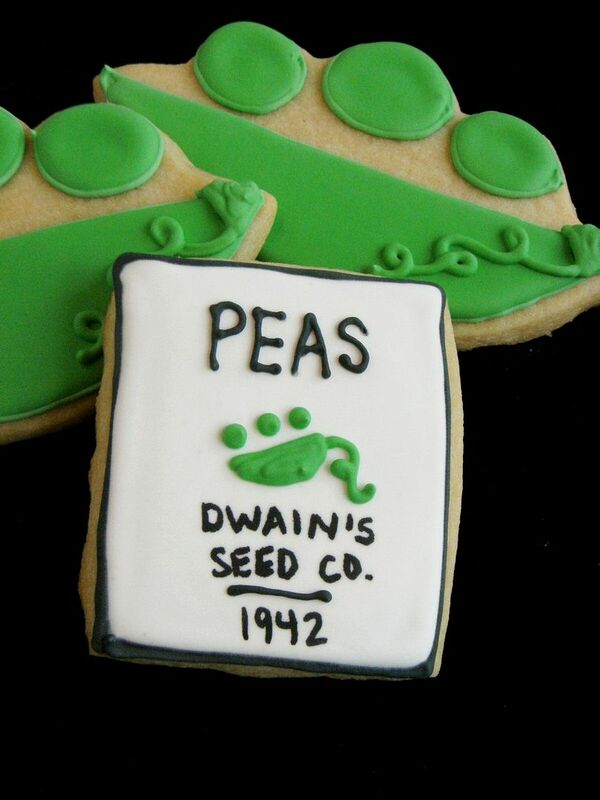 I've found other designs but I really want to try your cookies with the little baby face in place of one of the peas. So cute! I need to keep this in mind for the next gardening class my husband has - they would love these! Well done (as usual)! Girl, your cookies are on fire! (In a good way.) Lydia at Drop In & Decorate suggested I check you out since I'm in Texas too. I'm hosting a party in May and can't wait! Just awesome! 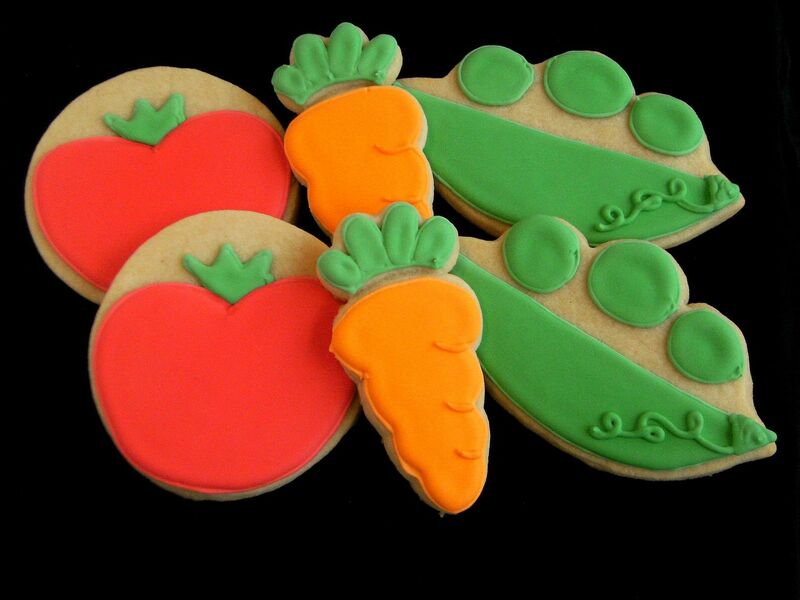 Love the Veggie cookies! I would definitely eat my veggies looking liked this! I LOVE the seed packets Bridget! What a great idea! I love 'em!! What a unique idea for cookies, fo sho! So perfect! 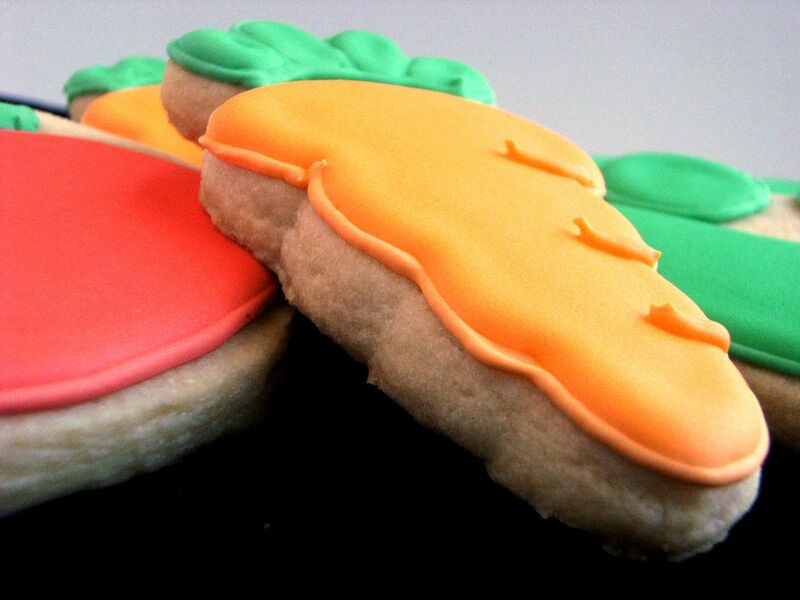 I could live off of veggies and baked goods, so these cookies are right up my alley! You did an amazing job on them! Yum! 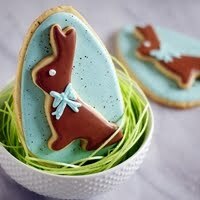 Oh my gosh, these cookies are adorable! Love the touch of his name and birth year! Bridget, I am flat out stealing these ideas for our upcoming Drop In & Decorate event! Especially the peas -- we love the lips cookie cutter, and for all of the creative things I've seen people do with it, I've never seen peas and a pod. OMG, LOOOOOOOOOVE these! I definitely have to try these some time! So unique and adorable! Love making cookies that suit the receiver and the occasion. My next project is Poke-ball cookies for a Pokemon card tournament that my son is going to at church. Your cookies are so beautiful. My college daughter loves to make sugar cookies. She and I are planning a cookie decorating session when she comes home in a few weeks for the summer. I want to go back and re-read some of your tutorials. I want to try your icing techniques. 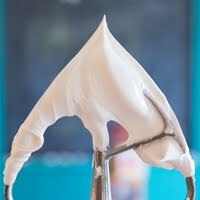 I have always loved the smooth surface that your icing has. Love & blessings from NC! I LOVE THESE!!! If I made them I know I would never again be able to say I have a tough time getting my kids to eat their veggies!!! The cookies are so cute. These would be amazing for a fall 'harvest' party too! Or a summer family picnic where you could tell children to "always eat your veggies"!! LOL! Those cookies are super cute! These were so cute!Thank you thank you! You make it sound so simple! Yet they are works of art. Yummy ones too! 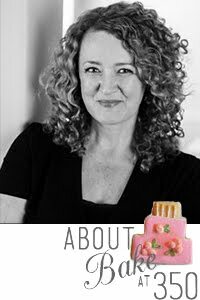 Love the cookies, Bridget! Patrick bought a topsy turvy and is growing tomatoes for me because I love them so much....I will let you know how it goes. It seems pretty low maintenance so far! omg theses are great! LOVE the carrots! i'm in love with these veggies!! those are one of my faves you've made - adorable! I am giving you the Sunshine award. Your cute ideas and yummy food are always so great! These are amazing! They are so pretty, almost too pretty to eat! Awww these are so cute! A great present. 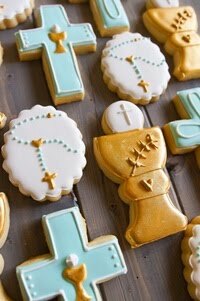 I am in love with these cookies (well, all of your cookies, really!) 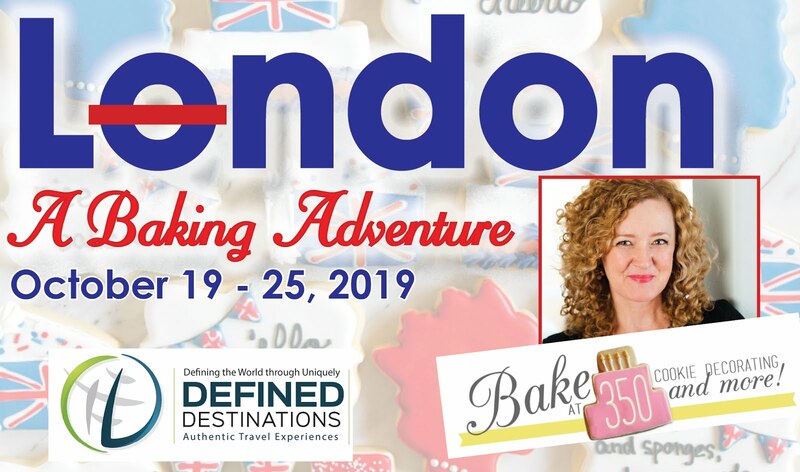 I wanted to let you know I mentioned Bake at 350 in my Attitude of Gratitude post listing a few sites I LOVED this week! 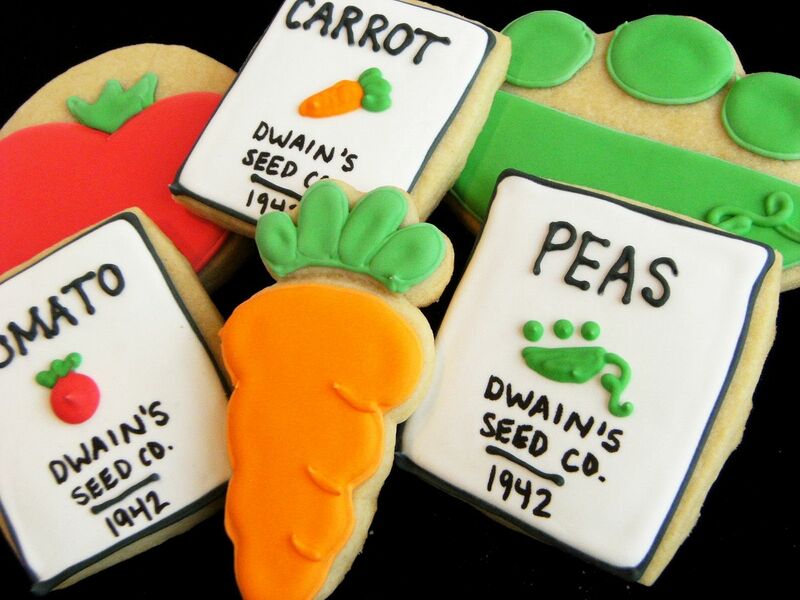 I do so love these garden cookies! I LOVE the pea pods! SO cute! SO cute!! I saw these on Foodgawker, and I just knew they were yours. I hadn't seen them yet because I am horribly behind on my RSS reader. Absolutely adorable! Every time I think you can't possibly make a cookie cuter than the last I am proven wrong! These are the cutest!!!! These are SUPER cute! What a fun idea for a gardener. Genius! These are too cute! Oh WOW!!! SOOO cool! These cookies are the best idea ever. This post made me happy, lol. Adorable! I love the peas. How cute would they be for a baby shower for multiples?! Thanks for this useful post. I'm a tomato gardener and I believe that by following just some simple Tips to grow tomatoes a person can grow tomatoes by his own. These are just beautiful. But what I want to know, is where are the weeds?! That's what is predominant in my garden right now! !